Gear manufacturers are a creative bunch and they’re always bringing out new and improved versions of their staples. In my travels, I’m also keen to test out lightweight hiking gear, particularly those items that I can stuff in my hand baggage, so I can start walking whenever the mood takes me. Here’s a recent selection. 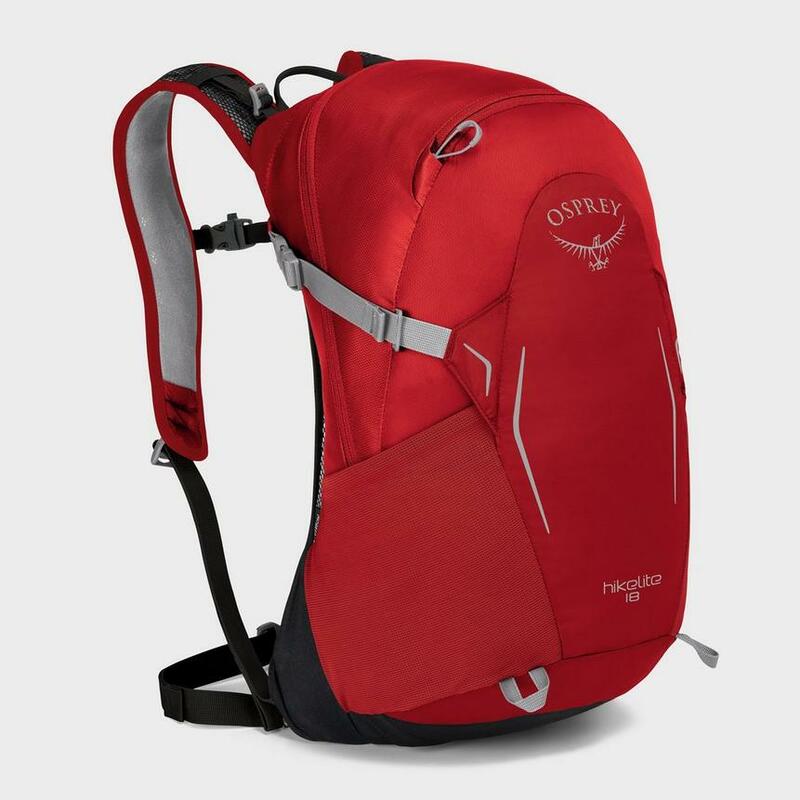 Osprey makes some great packs and they also offer a lifetime guarantee for reasonable use. The Hikelite 18 is a daypack, that not only has sturdy lightweight frame but also comes with its own pull-out rain cover. You can pack in a surprising amount and the two side mesh pockets are roomy enough to each contain a one-litre water bottle. I prefer a hydration bladder which fits inside the pack, in its own compartment. There’s a removable webbing hip belt and an adjustable sternum strap which both firmly anchor the pack to your back. A suspended mesh back panel keeps you cool and comfortable when you’re on the move and there’s a separate top pocket for keys, phone or snacks. 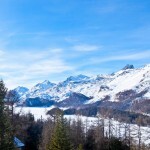 The only possible drawback is that the pack takes up more space in your luggage because of the frame, although it does help with heavy loads on the mountains. 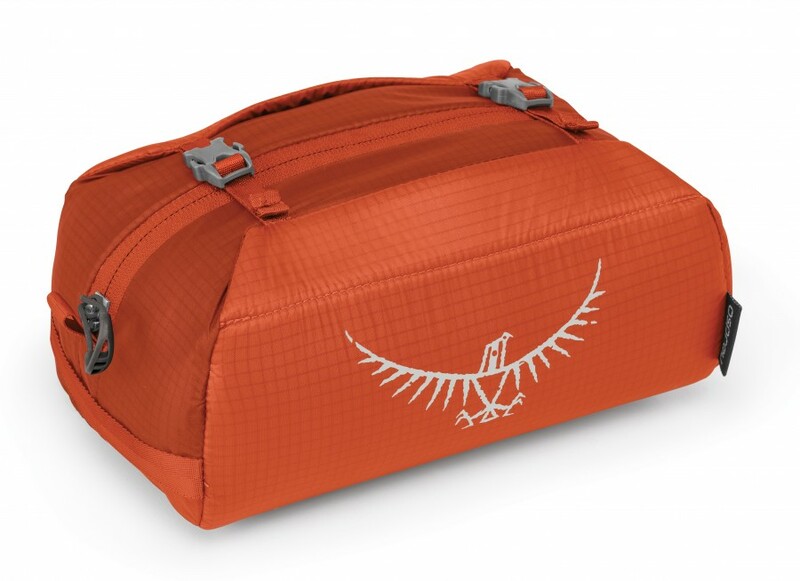 Keeping the weight down on your multi-day hiking trips is what this diminutive washbag is designed for. Although it’s lightness itself, it’s also quite small, so all your toiletries need to be miniature. Plunder those small tubes of toothpaste, bottles of moisturiser and body wash from posh hotels and you’re set up for days. There’s also a useful zipped pocket, just in case they leak, and compression straps to stop it expanding. Keen are noted for their innovative footwear and the Evofit One Sandals are no exception. They’re their first model to feature their new Evofit construction system which is designed to move seamlessly with the natural contours of the foot. I found them remarkably comfortable, fitting like a second skin, and super breathable. The integrated lace system lets you slip them on and off without hassle. They have a water-repellent finish and, should you end up crossing those mountain streams, they’re quick drying. Their ribbed Aquagrip rubber outsole offers great traction on slippy surfaces and curves up at the front to protect your toes. Of course like all Keen products they’re stylish and, should you suffer from stinkfoot, the inside has odour control. Unless you’re tackling craggy mountains, with the sort of sharp rocks that rip your boots to pieces, and steep descents that require ankle support, hybrid shoes seem like the way forward. 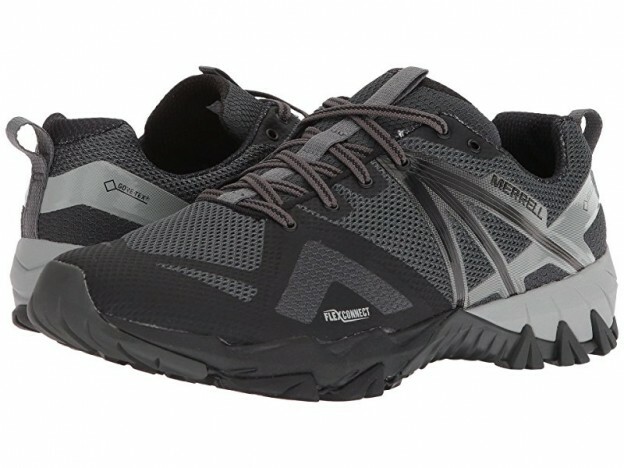 The Merrell MQM Flex GTX appear like upgraded running shoes but because of their Goretex membrane, are perfect for damp country walks. 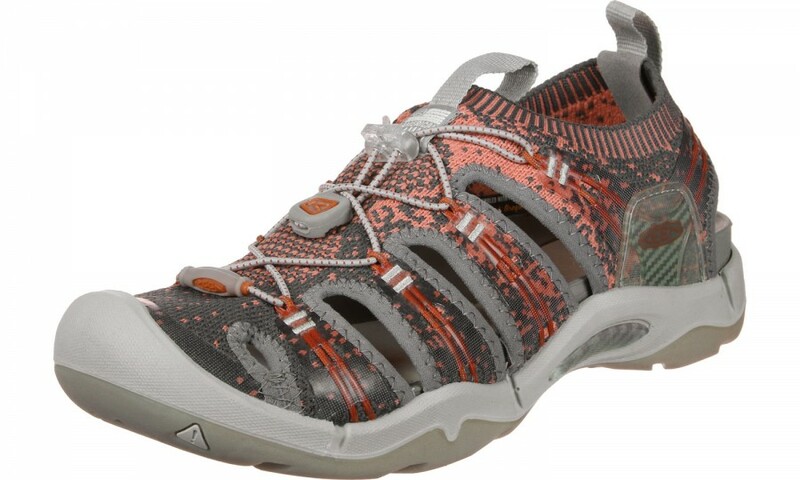 What I like about them is that they’re incredibly light, a cross between a running shoe and a hhardcorehiking boot. The outsole is deeply grooved to provide extra traction whilst the upper part is a combination of fine mesh and thermoplastic polyurethane, designed to increase breathability and keep the weigh down. There’s also an air cushion in the heel to absorb any shock. They’re also stylish enough to wear round town and won’t disgrace you if you’re hanging in the ‘hood. Of course, socks are always an afterthought but the Darn Tough brand, manufactured in Vermont USA are well worth considering. I’m always getting stones in my shoes and have seen many pairs of socks consigned to the garbage because they developed holes. Darn Tough say they unconditionally guarantee all their products for life and certainly on their first outing they stood up well. They’re also comfortable, made out of a merino wool and nylon mixture, with a light cushion on the base and undetectable seams. Their fast action wicking pulls moisture away from the skin and makes them fast drying. Because of their wool content, they’re also naturally antimicrobial repelling bacteria and odours. 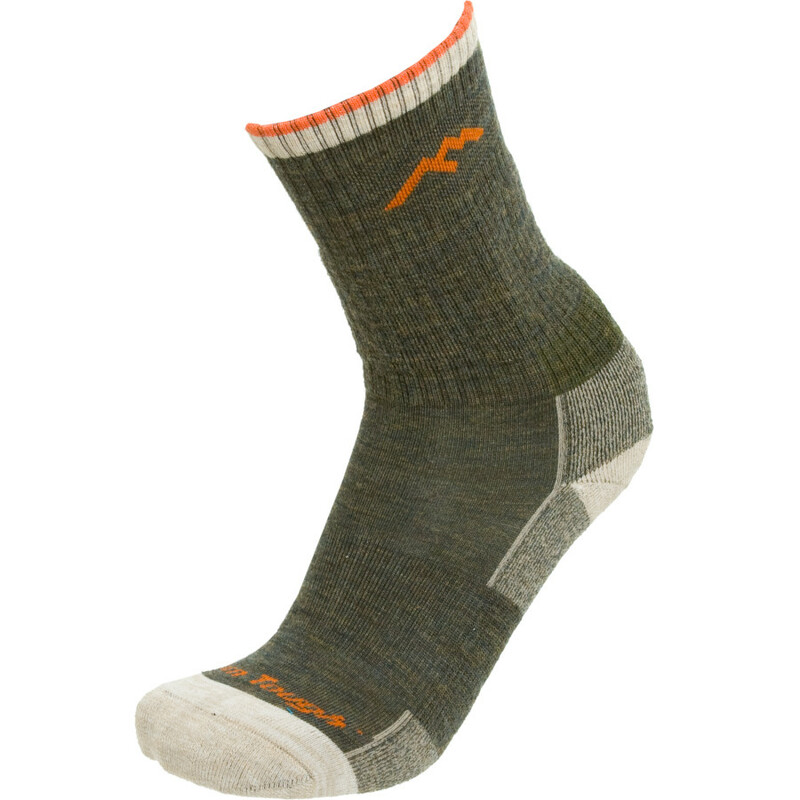 The socks come in a variety of height and thicknesses so choose your fit and tramp the mountains.